London’s new Ultra Low Emission Zone (ULEZ) has come into force in central London, starting today. The new zone aims to cut local emissions in London by penalising older and more polluting vehicles – cars and vans that do not meet Euro 4 for petrol, Euro 6 for diesel, Motorbikes that don’t meet Euro 3, while buses, lorries and coaches must by Euro 6 or pay £100 per day – and is based on a vehicle’s Euro emission standard rating. The £12.50 per day charge sits on top of the Congestion Charge, although a notable difference is that it runs 24/7 as opposed to the Congestion Charge that operates between 7am-6pm. Drivers that don’t pay will receive a fine of £160. The scheme will affect around 40,000 vehicles from today and aims to reduce toxic emissions by around 45% within two years. Mayor of London Sadiq Khan said it was “important we make progress” in tackling the capital’s toxic air. However, the BVRLA and FTA do not believe enough is being done for businesses to cope with the ULEZ. Natalie Chapman, head of urban policy at FTA, added that the zone is not the most effective way to improve air quality in the long-term and will impact on the livelihoods of many small businesses in London unless changes are made: “FTA recognises and supports the need to improve air quality, but we question the effectiveness of the ULEZ in reducing emissions and the lack of financial support available to businesses. In December 2018, the Mayor announced a measure to help micro-businesses in London – those with fewer than 10 staff – prepare for the financial cost of updating their vans to those compliant with ULEZ standards. However, this measure does not support companies operating HGVs in the capital. 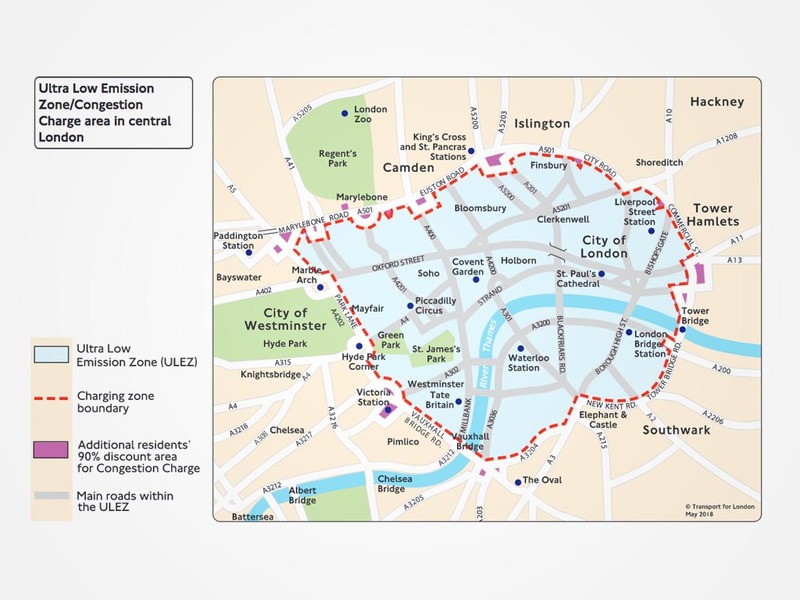 The new emissions zone is an additional charge on top of the Congestion Charge Zone and Low Emissions Zone already operating within London’s limits. Critics have said that the zone’s operation has been poorly campaigned, with a survey by Nissan finding that 1 in 3 people were unaware of the ULEZ going live today, 8 April 2019. The results were backed up by Hitachi Capital, that found only 54% of its survey respondents know what a Clean Air Zone is, with awareness on a national level at just 43%. London’s ULEZ is set to be expanded to cover the entire area between the North and South Circular roads in 2021, while a Zero-Emissions Zone could come into effect from 2025. Last month, Greater Manchester revealed proposals to implement a charging Clean Air Zone (CAZ) spanning all 10 local authorities in the region by 2021 and Birmingham also approved plans for a CAZ on 12 March.